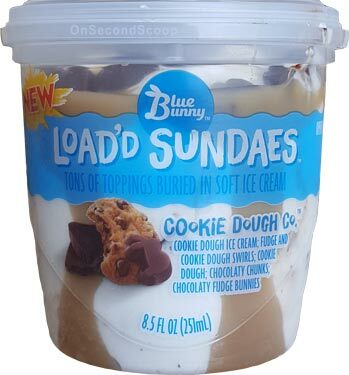 [New for 2018] The Loaded name has returned... sort of... ok, not really, but technically speaking the name "LOAD'D SUNDAES" does remind me of the old Edy's Loaded lineup (reviewed here and here). 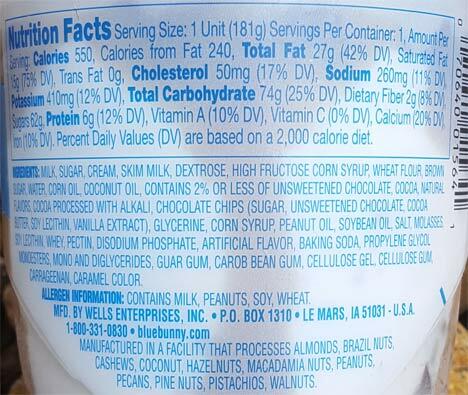 Anyway, there are 8 of these new, neat looking Blue Bunny sundaes, often at three bucks a pop. That probably seems a little high, but technically you are getting the equivalent of half a pint (8.5 fluid ounces) of frozen treat. To quantify the new line up: all but the strawberry one has either nuts or peanut oil in the mix. Bunny Bs! It looks like whipped cream at the top right? It's not! I do a little digging and that's actually the "light ice cream" up top... and when I say light, I mean LIGHT. Like whipped cream light. Even fresh from the freezer, this stuff is like whipped cream, or better yet, maybe like cool whip. If you've ever had their ice cream truck cups, then this is like that.... but LIGHTER. 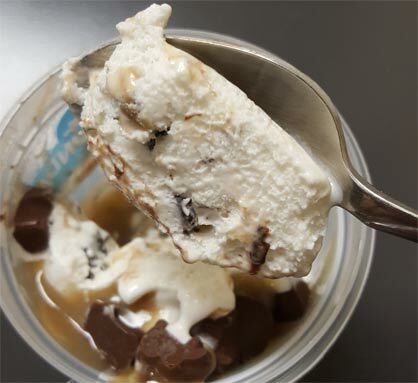 The sauce is the same super sweet sauce from their cookie dough flavor. I think that's a good thing, but it will probably bowl some people over. You want to pace yourself with this sauce not only because it's potent, but also because the fudge sauce is not very good. Instead of cookie dough balls, we have tiny cubes of cookie dough. They are kind of hard to notice at this size because the chocolate bunny Bs are plentiful and much more impactful. The problem with a treat like this is that despite being 8.5 fluid ounces and 550 calories, it's not filling at all. If you wagered me five bucks, I bet I could have this thing inhaled in about 90 seconds. That said, I decided to be reserved. I ate about 2/3 of the cup and will finish it off in an hour. On Second Scoop: Ok, I have a better description for the "soft ice cream" now, it's like mousse. Don't know how they do it, but they do it. If that description doesn't completely click, than think of it as being something akin to the inside of a 3 musketeers bar. 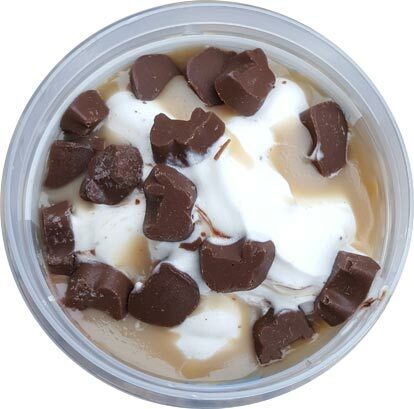 I think I've describe the cookie dough swirl as "evilly delicious" (in a pedal to the metal kind of way). Still plenty of bunny Bs. Three dollars does feel high, but it's a busy little container so think of it more as blizzard competition rather than a 1.5 qt container competitor. Not whipped cream, not mousse ... Marshmallow Fluff. 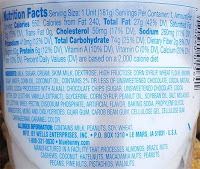 It has so much air and thickeners in it, it is exactly the consistency of marshmallow fluff. I'm sure it won't melt. $3 is way too much for a half pint of thickened air. You can get a whole pint of Ben & Jerry's for the same $3 if you catch it on sale, and it has real ice cream to go with the cookies & candy.